This week the Ramsey County Law Library joins with libraries all across the nation in celebrating National Library Week. The purpose of this event is to celebrate the contributions of libraries and librarians everywhere, as well as to promote library use and support. National Library Week is a brainchild of the American Library Association (ALA), and our library is committed to the principles established in the ALA’s Library Bill of Rights. Please come visit our library this week. 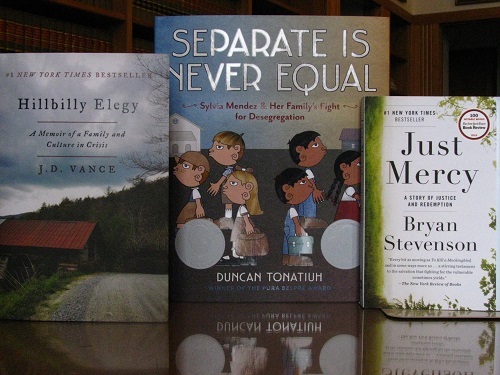 Besides picking up a free pocket Constitution, you can register to win one of these three excellent legally-inspired books (links below) We will draw the winners at the end of the day Friday (April 14), so register win this week!